Your first visit begins with a consultation. We go over the treatment options, as well as the area to be treated. We then tailor an individual plan that is best for you. We also discuss, in detail, the process of electrolysis and any individual issues that could be related to excess hair growth. This consultation is brief and informative. If you decide to immediately opt for treatment, the consultation is free. Otherwise, there is a $20 fee which will be reimbursed on your first visit. The number of treatments will vary from client to client and depends on the growth cycle of the hair, the quality of the hair and any previous hair removal methods. Electrolysis is a commitment you make to yourself for yourself, the most important factor to success is sticking to a schedule of treatments. How often can I schedule a treatment? Depending upon the area being treated, how your skin reacts to treatment and how motivated you are, you may schedule a treatment as often as every 3-4 days. However, most clients find one visit per week sufficient. After the initial clearing of the area, treatments will become less frequent and shorter in duration. During your initial consultation, we will discuss a personalized schedule to fit your needs and lifestyle. Will all of my hairs be permanently removed in one treatment? Deep coarse hairs are not always eliminated with one treatment. Hairs that have been plucked can be stubborn due to follicle distortion. Breaking down these hairs may require additional treatments. Also, hair grows in different stages, so keeping a regular schedule will help to make sure that all of the hair in the treated area has been epilated during its active growing stage. Hair grows in three stages, the active, or growing stage, the resting stage, and the stage in between, referred to as the transitional stage. Not all of the hair is growing in the same stage at the same time, anywhere on our body. Hair can be resting for a few months to a few years, or it can be growing for a few weeks to a few months. For this reason it is important to maintain a schedule to catch the hair in the active growing stage, which the best time to eliminate it. Sensitivity varies according to the area being treated. Most people find it to be relatively painless! A few people experience a slight discomfort. There is a sensation of heat. If you find treatment is uncomfortable it can be addressed by topical creams and by taking a pain reliever such as Tylenol or aspirin before your treatment. Avoiding caffeine the day of your treatment may also alleviate some discomfort. It is normal for your skin to appear red and it may be slightly swollen. This is alleviated by placing an ice pack covered with a damp towel directly to the treated area for about 15-20 seconds and then removing it for a few seconds. Repeat this process for 10-20 minutes. My skin is sensitive and I break out easily. Can I still get electrolysis? If you find that your skin breaks out following treatment it may be necessary to apply an antibiotic cream. Any irritation after treatment is temporary and will usually disappear after a few days. What causes excess hair to grow? There are several factors which contribute to excess hair growth, such as heredity, hormones, medications, age, pregnancy and childbirth, and excessive use of temporary hair removal treatments. Electrolysis seems so old fashioned, removing one hair at a time, isn’t laser a more modern option? Electrolysis has been around for more that 125 years and has been proven to be permanent. Although laser may seem quicker, be aware that it only REDUCES hair growth and does not work for all skin types or hair colors. 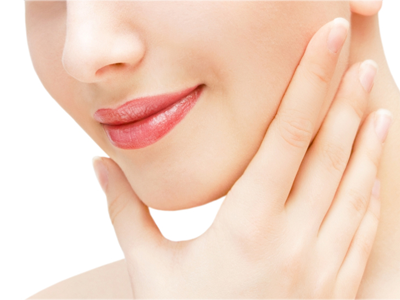 Electrolysis works for EVERY type of skin and on ALL hair types. Laser can be expensive and requires several treatments to just reduce the hair growth. Over time, electrolysis is not only more effective; it is also less expensive, as it results in PERMAMENT hair removal.